Today’s ceiling fans are more efficient than ever, and come in nearly unlimited choices of finish, width, blade count and light. 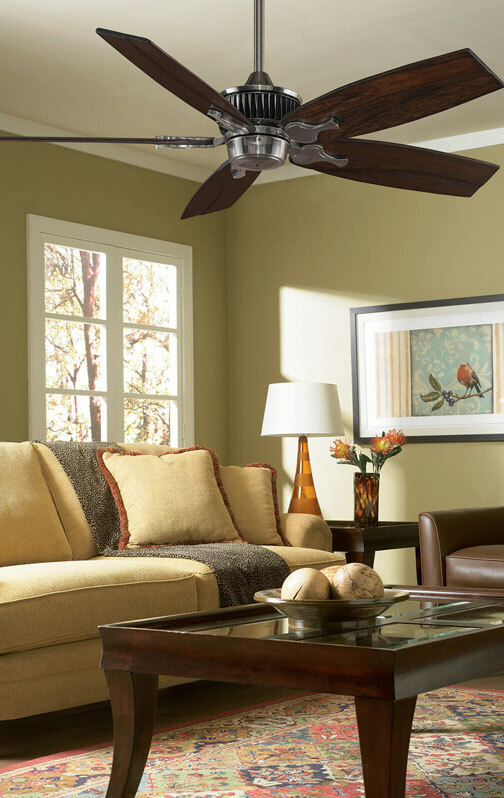 Traditionalists can choose from hundreds of styles in Panama-style fans or cottage-inspired wooden finishes. Find these styles from Fanimation (Cancun, Spitfire), Kichler (Basics or Eads lines), Minka Aire (Classica, Delano) and Monte Carlo (Penninsula, Homebuilder II). 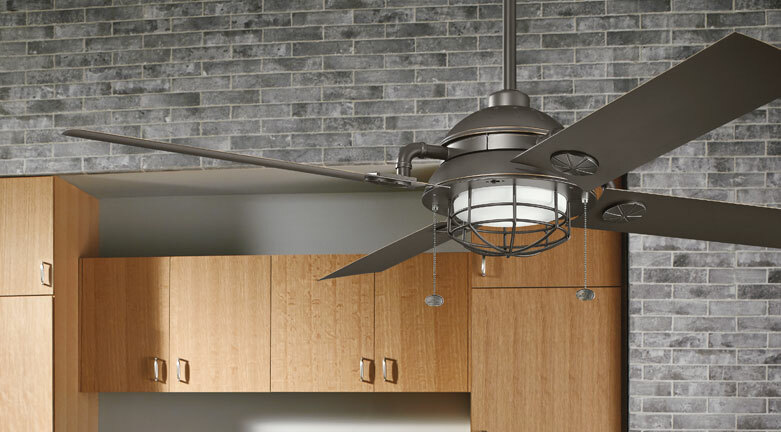 But most ceiling fan manufacturers now offer a stunning selection of contemporary styles – ranging from nearly unrecognizable-as-fans designs to broadly sweeping designs with anywhere from one to eight blades. Contemporary finishes are often metals: brushed nickel, stainless steel, silver and even matte black. Check out the Light Wave from Minka Aire, featuring a sculptural 3-blade design with integrated LED light. Or the Torto from Fanimation – a contemporary design that moves air down at an angle, rather than straight down.